Having an effective fire protection system is one of the most important things to have within a commercial property. At AERO we have extensive experience and thoroughly understand building fire codes, which makes us a leading fire protection system contractor in the states of Rhode Island ( RI ) and Massachusetts ( MA ). We also work with our customers through the whole process from estimation through the installation of their systems. There are a number of different system designs to choose from and our highly trained staff is here to help advise you on the fire protection system that’s right for your property. It all starts with the estimation process. Once you contact our company, you will be able to set up an appointment to have one of our specialist come out to your property and walk through the process with you. After a review of the property and discussing of the type of system that you require, our specialist will be able to provide you with an estimate for your fire protection system. The design phase is one of the most important parts of the whole process. Our experienced design staff will create the most effective system, while keeping an eye on the bottom line. Using the latest technology, our staff will design the perfect fire protection system for your building. The fabrication of every system is custom and no two are the same. 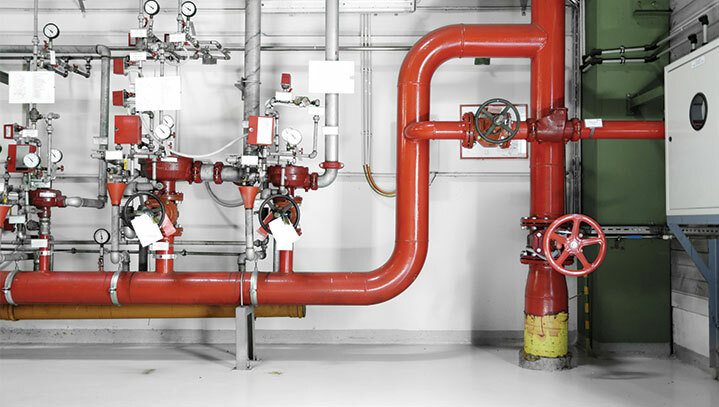 Within our state of the art facility we are able to fabricate a number of different types of fire protection systems, from a simple sprinkler system to a special fire suppression system. 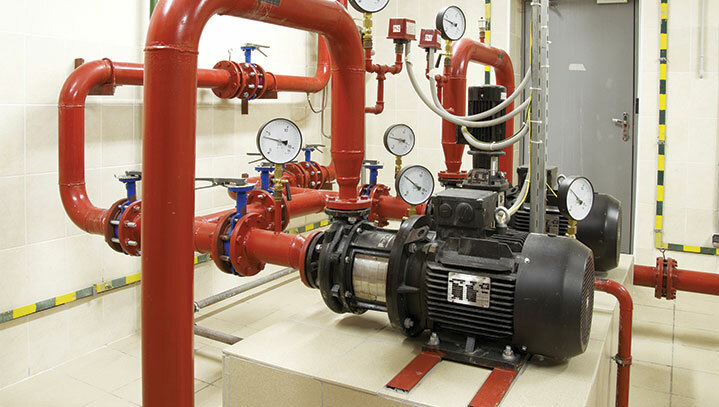 The fire pump is the heart of a fire protection system. Depending on the size of the building we will help determine the type and size water pump that will be required. Fire sprinklers are one the most effective ways to control a fire. Our engineers know how to properly spec the sprinklers and location, so that they can be the most effective if a fire were to erupt within the building. A rigorous inspection is then utilized to ensure that your system is fully operational and will work correctly. Our staff is available 24 hours a day 7 days a week to help resolve any issues that you may have with your fire protection system. Contact us today if you have any questions or need to set up a meeting with one of our specialist.